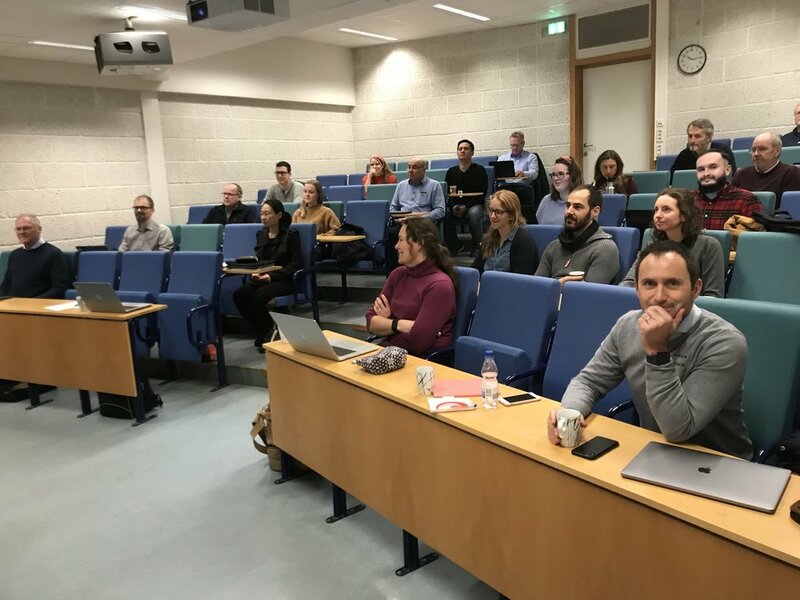 A successful thematic meeting was held December 12th at NTNU presenting tools for stormwater modelling. 25 participants attended the meeting including two international guests from France and USA, respectively. 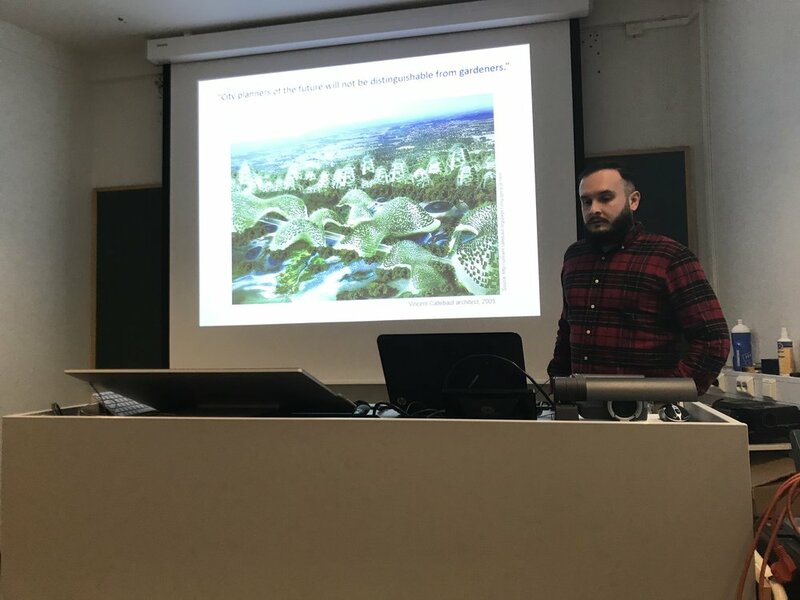 The objectives of the thematic meeting were to present i) a state-of-art of tools for stormwater modelling and ii) an international perspective on stormwater modelling. 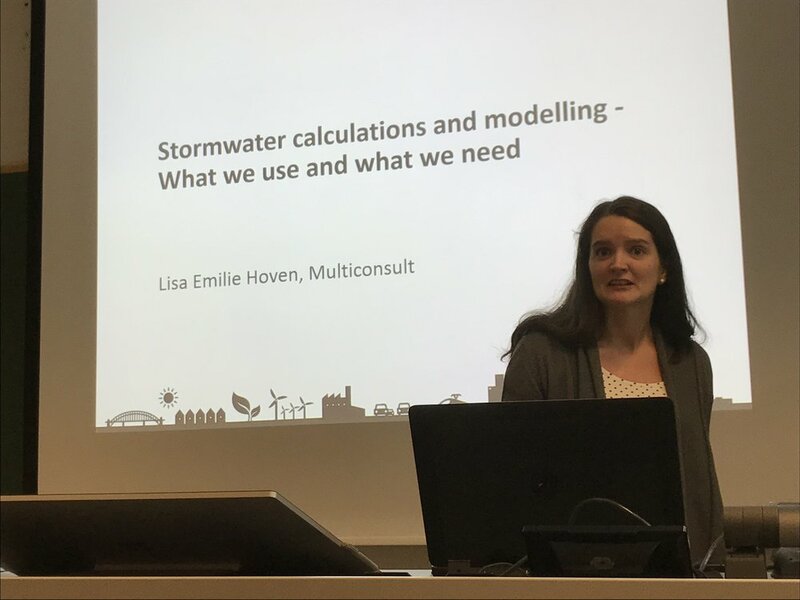 Lisa E. Hoven, Multiconsult, opened the thematic meeting by presenting the tools used by the consultants today and what tools they might need in order to meet current and future challenges with respect to stormwater modelling. The following speakers presented a variety of tools and experiences. 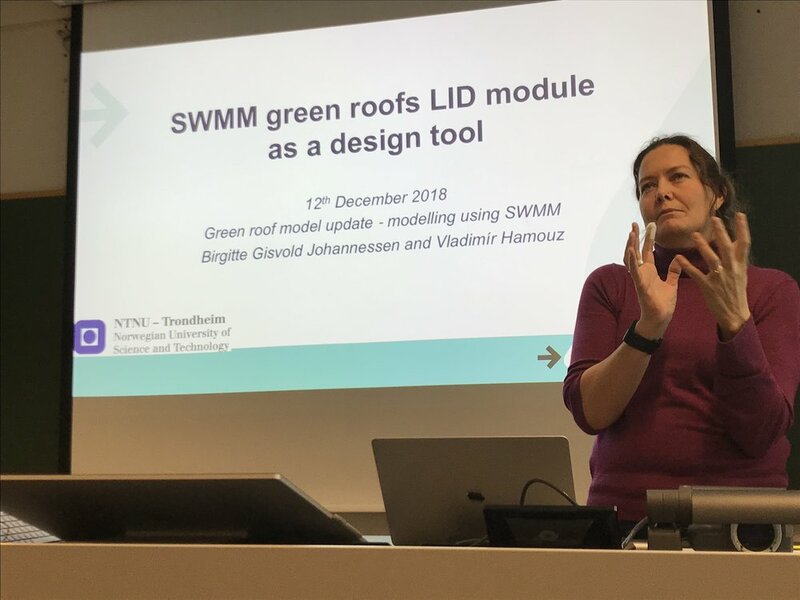 Tone Muthanna, NTNU, presented the latest results from Klima 2050 and the experiences on green roof modelling using SWMM, whereas Thea Ingeborg Skrede presented her master thesis work on how to use roads as safe flood ways. Skredes master thesis was recently awarded the best master thesis 2018 within water and environment by RIF. Per Møller-Pedersen, Storm Aqua, presented the background and principles behind his stormwater calculation toolbox and demonstrated how different measures can be combined to achieve a better overall efficiency. Bill Hunt, North Carolina State University, gave an inspiring presentation building on over twenty years of experience with stormwater management in North Carolina, whereas Santiago Sandoval Arernas, INSA Lyon, presented a model for stormwater calculations that also may be coupled with BIM in the future.